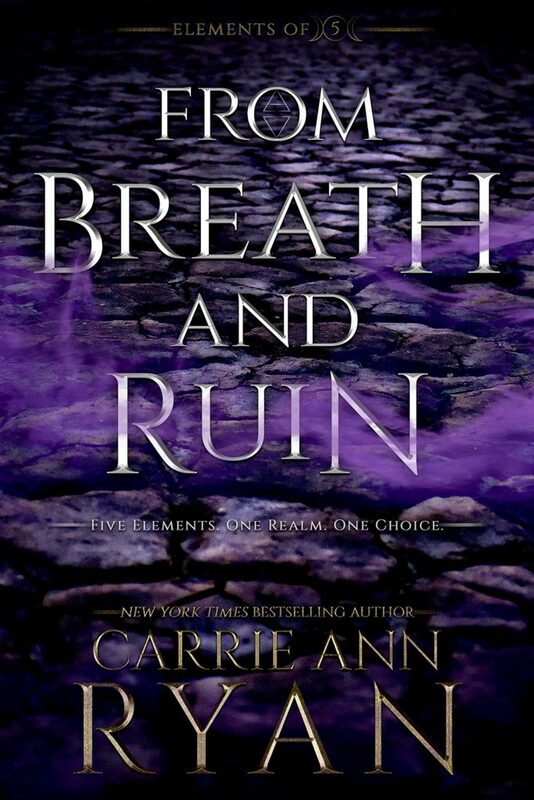 From Breath and Ruin by Carrie Ann Ryan was a fun adventure story about magic, mystery, friendship, destiny, and romance. I enjoyed the beginning chapters and was expecting plenty of action, drama, suspense, and romance. However, I found myself having a difficult time getting sucked into the story. After that intriguing start, I just felt like the chapters that should have been thrilling were dragged out and some dialogues were just kind of awkward. I thought it took to long to find what the characters were looking for and there wasn’t enough build-up for me. It just felt kind of flat. That being said, there were some good action and a little mystery so that was kind of fun. I also really enjoyed the last few chapters and the final battle scene. I think that’s part of why I bumped up my rating to 3. Cause those moments were so intense, exciting, and had me holding my breath. I really wish the story was like that the entire time. Another issue I had was with the heroine. I just could not connect with Lyric and was for the most part annoyed with her personality. She had so many inner monologues and repeated so much of her nightmares, fears, and insecurities that it became too distracting for me. I did think she had potential and I liked that she was brave, cared deeply and was incredibly determined. BUT, her character development was a big letdown for me. I really hope she does a lot of growing up in the next installment cause she could be really great. As for the other characters, well I guess you could say I liked them enough. Rhodes was the kind of hero who will do anything to protect the person he loves. Braelynn was the ultimate best friend and I loved that she was kind, courageous, and supported Lyric. Emory was spiteful and downright cruel sometimes, but she played her part so well. Easton was a nice surprise. There’s something about him that was so intriguing and charming. I have my own predictions about him and I really hope I’m right. What made me really enjoy this book was the world-building and the magical system. Even though there were quite a few hiccups, I still thought it was incredibly creative. The concept about the five elements, the different kingdoms, the power, the ongoing war, the lost hero, and the soulmate bond were really fun and interesting to read about. I’m definitely curious to learn more about this world and hopefully get a better picture of how everything works. Overall, I thought this book was a decent start for a fantasy series. Even though I didn’t enjoy it as much as I expected, I still had some fun. I laughed a few times and I really did think that magical system was fascinating. Will I continue with the series? Maybe…maybe not. It’s not on my priority or anything, but there are some things I would like to know. I received an advance reader copy of this book from the publisher in exchange for a fair and honest review. All thoughts and opinions are my own.